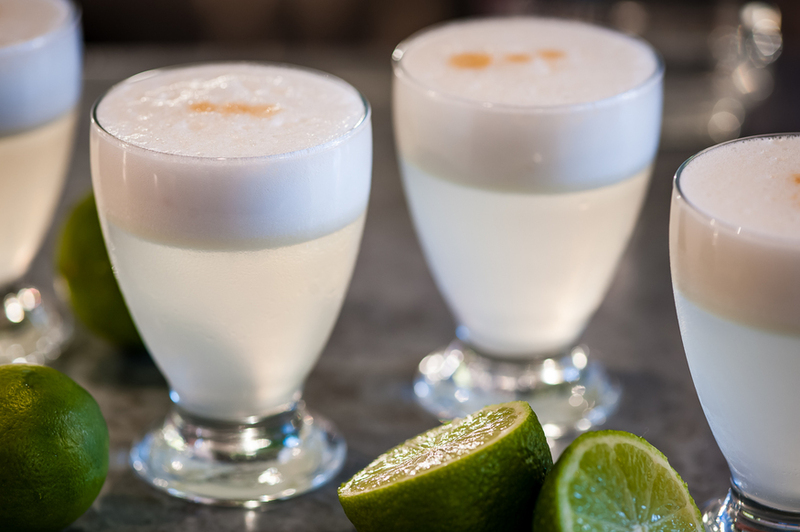 So, what is a pisco sour exactly? Well, it’s a cocktail made in the same way you would make a whisky sour: sugar, citrus, bitters and egg white join the base spirit to create something fresh, sharp and slightly viscous. As for pisco itself, it’s officially defined as a grape brandy and has a history dating back to the 16th century, when it started to be made in winemaking regions across Chile and Peru. The cocktail was first created in the 1920s by an American bartender working in Lima, and has gained enormous popularity in South America since. In Peru, you could almost consider it part of the national identity. A couple of years back, we couldn’t even have considered suggesting the best places to drink pisco sours in London as, well, there weren’t really any places. But as Peruvian food has burst onto the scene, it only makes sense that this cocktail has come with it. This buzzy Soho restaurant was among the first to stir up some Peruvian love on London’s food scene. Alongside its namesake raw fish dishes and other Peruvian specialities, you’ll find Europe’s very first dedicated pisco bar. Try the spirit neat, infused with all manner of different fruits or spices, but — of course — make sure you get a traditional sour, too. Ceviche’s little sister opened in Shoreditch late last year, and features a games room and juice bar within. We do prefer the livelier atmosphere of the smaller Soho original, but if you’re looking for a pisco sour out east, then this the place to get it. London’s first Michelin-starred Peruvian restaurant, this Fitzrovia spot also comes with a bar area loaded with pisco. Try the spirit in many a creative combination, or opt for the sours. They come either classic or with added physalis or passion fruit. This swanky Mayfair restaurant and pisco bar couldn’t feel much more South American, which is probably because it’s modelled directly on some of the oldest bars you’ll find in Lima. There’s a decent range of tequilas and rums, but classic and home-infused piscos are what it’s really all about. This dark and broody lunchtime-only Soho haunt from the founder of Ping Pong serves Nikkei cuisine, which brings together Peruvian and Japanese flavours and cooking styles. The cocktail list includes a fair splosh of pisco, including a sour made from corn-infused pisco. There’s also live music. You pay for the views as well as the drinks at this Heron Tower bar, but it's surely the highest-up pisco sour in London. Referencing the restaurant’s Japanese and South American influences, one twist includes adding ginger and yuzu, though you can always ask for a classic.